Reared with care in a natural environment. If you are wanting to buy beef or lamb naturally reared on grass pasture and have the peace of mind knowing exactly where your meat has come from and how well it has been farmed, then you are in the right place ! Springhill is a small family farm, nestled at the foot of Wensleydale near Masham. It is home to Andrew, Nicola and the boys Aaron and Luke. Here we farm Dexter beef cattle and Romney sheep. Our beef cows and sheep are farmed in a traditional method handed down from generation to generation. Grazing outdoors on our low input permanent grassland which is rich in wild flowers and herbs and sustainably managed to promote wildlife. 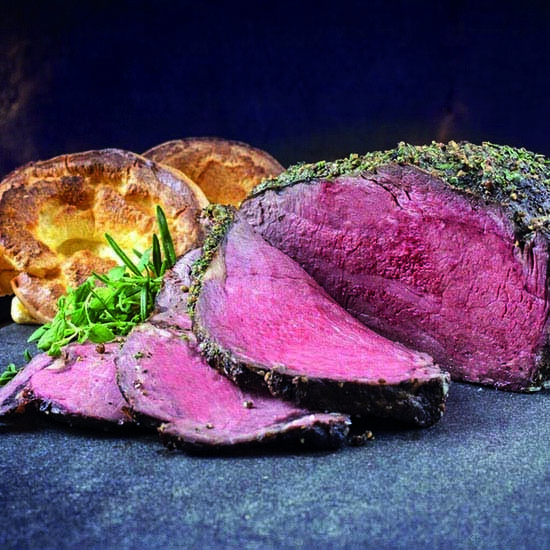 Our Dexter beef and Romney lamb is sweet and succulent with higher levels of beneficial Omega-3 polyunsaturated fatty acids, CLA (than conventional grain fed beef and sheep). Dexter beef is widely regarded as possibly the most flavoursome beef available and is used by many top chefs including Tommy Banks and Gordon Ramsey. Highly recommended! We’ve just received our second box, thank you! It's delicious and highly recommended. What lovely beef! Thanks so much Nicci John really enjoyed his steak looking forward to the next! Great beef at a fab price. Just to say we were incredibly impressed with the steak we had to tonight and even our son who doesn't like meat loved it too, so it was a success! I had a taster here in Leyburn today and have got to admit it must be the best steak I have tasted. Would certainly highly recommend it.